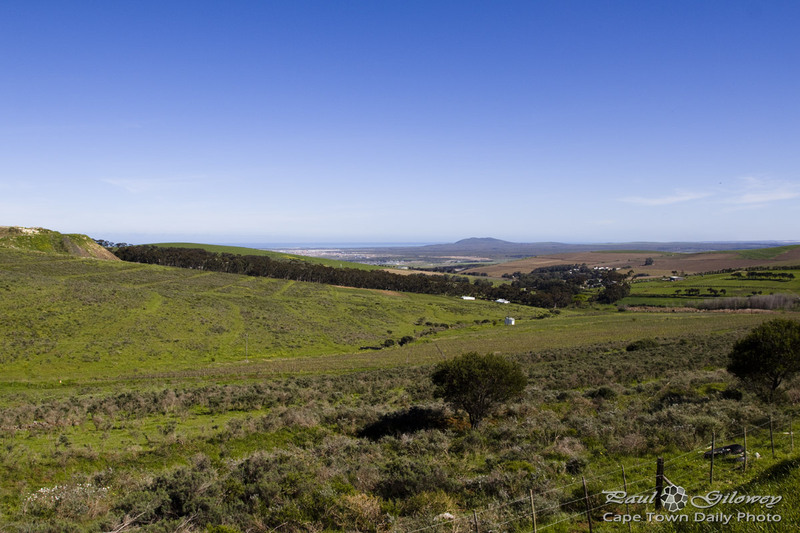 This photo was taken in the direction of Table View, from the top of the Contermanskloof road, outside Durbanville. Way in the distance, where the land meets the sky, that's the ocean and Table Bay. Posted in General and tagged hills on Thursday, 5 September, 2013 by Paul.